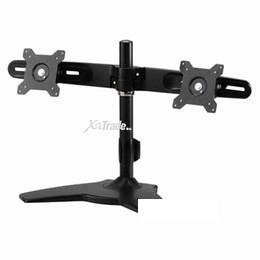 Dual LCD Monitor Stand with hinge modules. Apart from its defined rotation, swivel & tilt functions at each hinge module, the AMR2S also has an easy cable management cover & column to make the cables tidy and well arranged. VESA supported.